A2BviaZ: Back on the road again... Or should I say sea? Back on the road again... Or should I say sea? 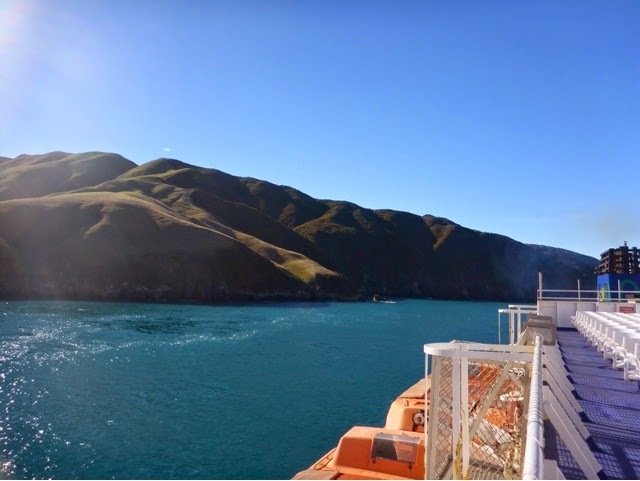 We left the Coromandel for our next trip - this time we are visiting the South Island! Last night we stayed in Wellington - in a not so nice hostel! So we weren't disappointed to be getting out of bed at 7am this morning to make our way to the Interislander ferry. If you have the choice between flying and ferry - I can honestly say the ferry is a wonderful way to take the trip between the islands! 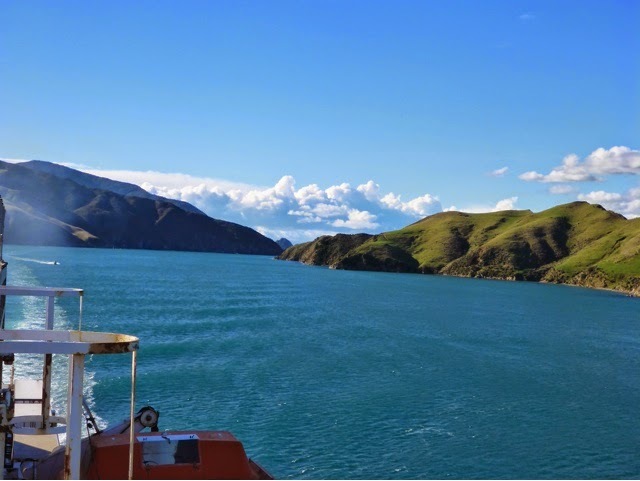 We didn't have a choice since we were taking our car, but it was money well spent and the views as we passed through the Marlborough Sound were stunning! Getting off the ferry is a piece of cake! 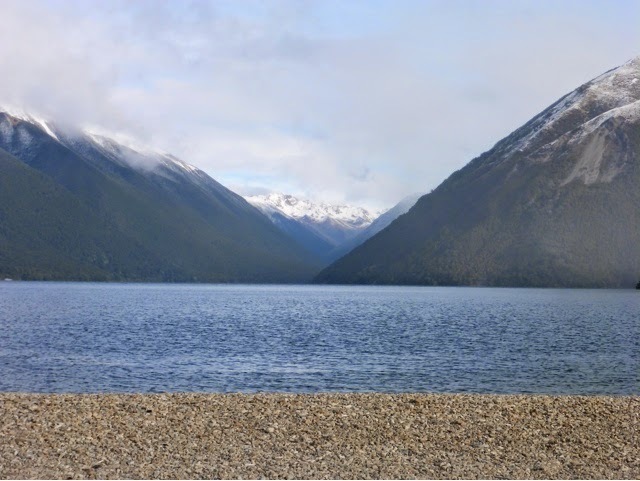 It's a simple drive off system which takes you straight onto a roundabout giving you the option to drive out of Picton and on to Nelson, or you can bear right and head into Picton. We have previously planned to skip Picton at this point and headed for Nelson. And it is my tip to you! It's quite a trek and quite out of the way, but SO worth it for the views. I recommend you take a spare couple of slices of bread for the resident ducks and don't forget a picnic for yourself, you'll definitely want to spend an hour or two here just to relax and take in the views. 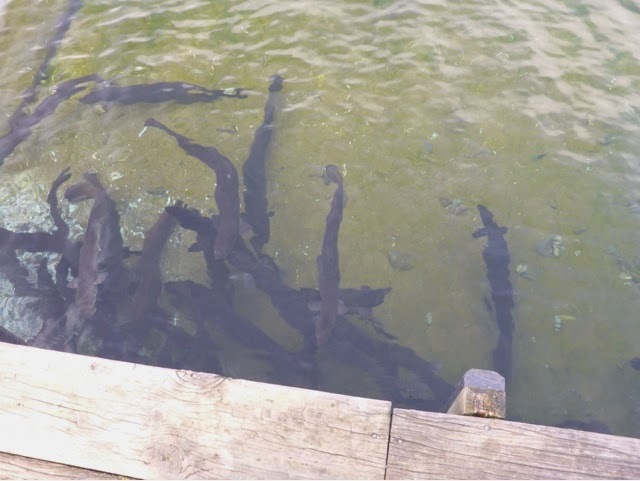 Don't forget to take a walk onto the jetty, you might spot some fish and some eels in the crystal clear water! From Nelson Lakes we headed into Nelson City centre. Tonight we are staying at Shortbread Backpackers - and I have to say, it's a million times nicer than the hostel in Wellington - it's a little home away from home and it has free wifi too!! Tonight we are choosing our activity to enjoy at the Abel Tasman!